New York Knicks superstar Carmelo Anthony can opt out of his contract after this season and hit the free-agent market for the first time in his NBA career. If the Knicks’ front office can’t persuade him that the franchise is moving in the right direction, Anthony might decide to take his talents elsewhere. Finding a quality point guard who can team up with Anthony seems to be high on the Knicks’ list of future plans. "According to league sources, the Knicks’ first prong is to try to attract the Celtics’ Rajon Rondo," ESPN.com’s Brian Windhorst reported this week. "This idea has been tossed around in various forms for a while now, it’s not shocking. But the way the Knicks are hoping to get Rondo is a little unusual. "It’s not in free agency in 2015 but later this season or next summer when he comes back from a torn ACL. The Knicks are hoping Rondo will be interested in making a maneuver similar to what Anthony did back in 2011 and eventually try to force a trade to the Knicks, sources said." It’s no surprise why the Knicks, or any team, would have interest in acquiring Rondo. When healthy, he’s one of the top point guards in the league, and unlike other superstar point guards such as Derrick Rose, Russell Westbrook and Stephen Curry, Rondo is a pass-first playmaker who gets his teammates the ball in places where they can best use their offensive talent. 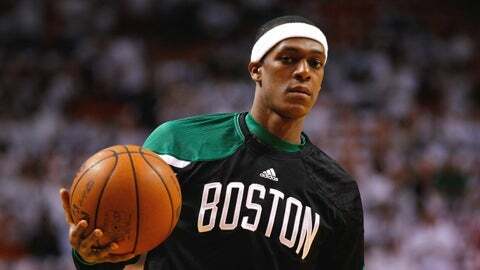 This skill set makes Rondo a perfect complement for an elite, shoot-first scorer like Anthony. The Knicks’ problem is they don’t have many young players of value to offer the Celtics in a potential Rondo trade. The Knicks had to deal several quality young players (including Danilo Gallinari and Wilson Chandler) to the Denver Nuggets to acquire Anthony during the 2010-11 season, and aside from 2011 first-round draft pick Iman Shumpert, New York doesn’t have the trade chips to make a fair deal for a player of Rondo’s caliber. The Knicks also don’t have a first-round pick until 2018, which hurts their ability to make trades. If the Knicks are serious about getting Rondo, waiting until the summer of 2015 and signing him a free agent seems like the most logical plan.